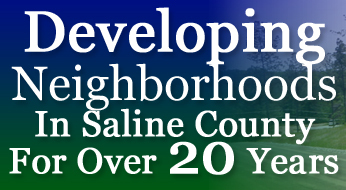 We are proud to offer you one of Saline Counties finest subdivisions. Coldwater Creek is located within the Benton City limits and features a community playground and lake. Homes range start in the upper 200’s. We are proud of the fact that none of our developments have special improvement taxes! We are financially stable as well so you can rest assured that we will be the Company completing your subdivision, not a Bank!